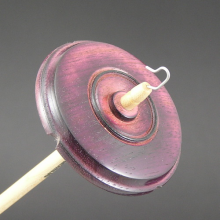 You have acquired your wonderful fiber, now enjoy True Creations’ newest spindle, our Midi Turkish drop spindle to help you spin it into beautiful yarn. 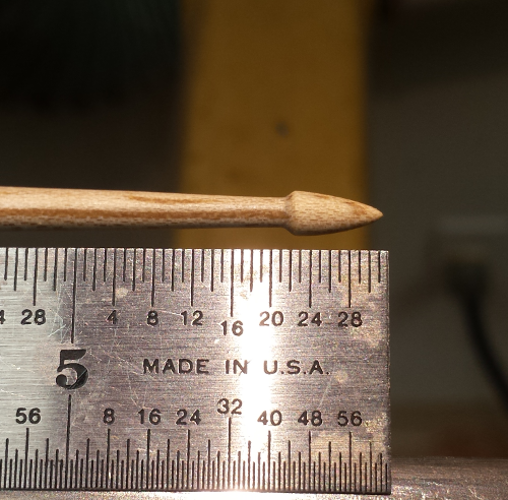 Perfectly balanced 3 ½” cherry arms with a 6” maple shaft. 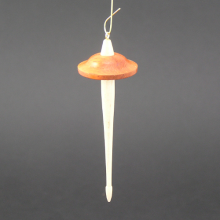 The shaft has been turned by Jim, a master woodturner, to be true, straight and have a finely shaped tip which helps center your fiber for long spin times. 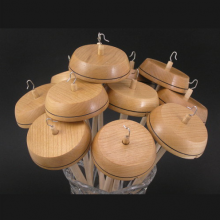 These midi Turkish spindles weigh in between .6 and .7 oz and are perfect for spinning most fibers. 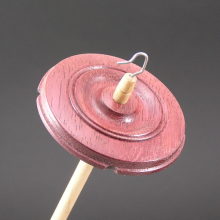 Per our survey, spinners told us this was their favorite size and weight so that is where we started. 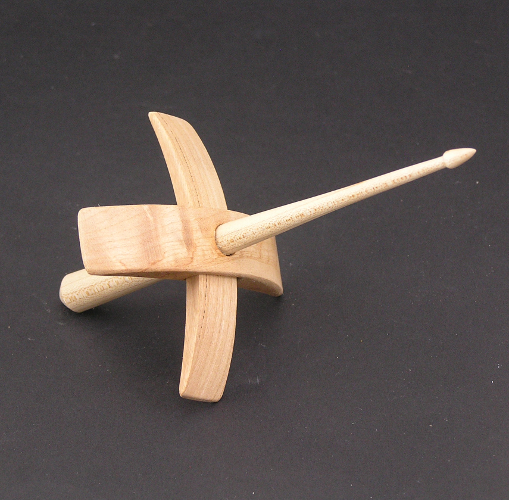 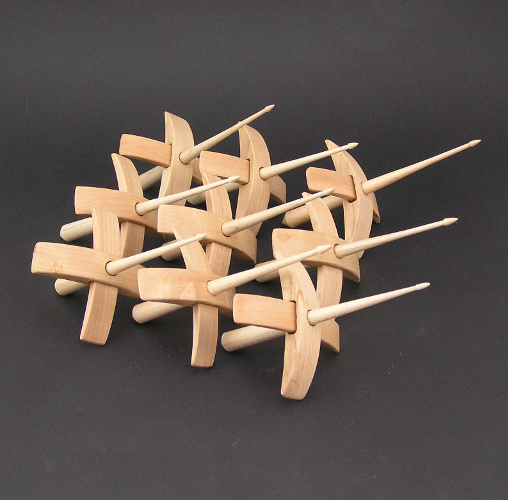 Soon we will add mini spindles with 2 ½” arms and standard with 4 ½” arms. Be the first to review “Turkish Spindle – midi – 3 1/2″ arms” Click here to cancel reply.